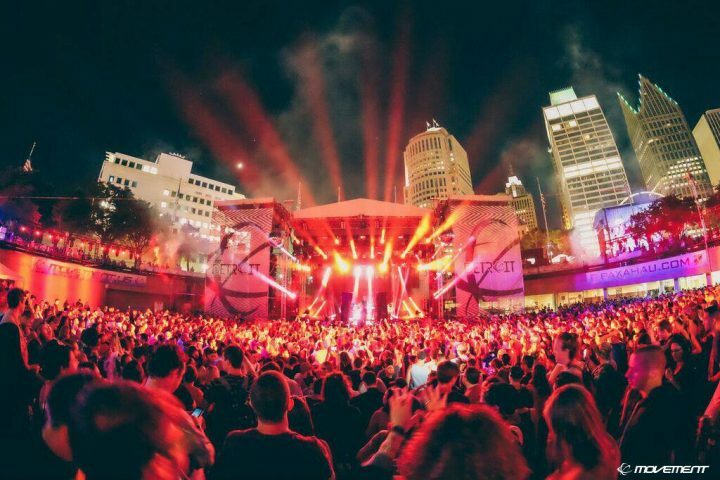 Movement Music Festival organizers have revealed the full lineup for the Memorial Day Weekend 2019 event, set for May 25, 26, and 27 inside Detroit’s Hart Plaza. 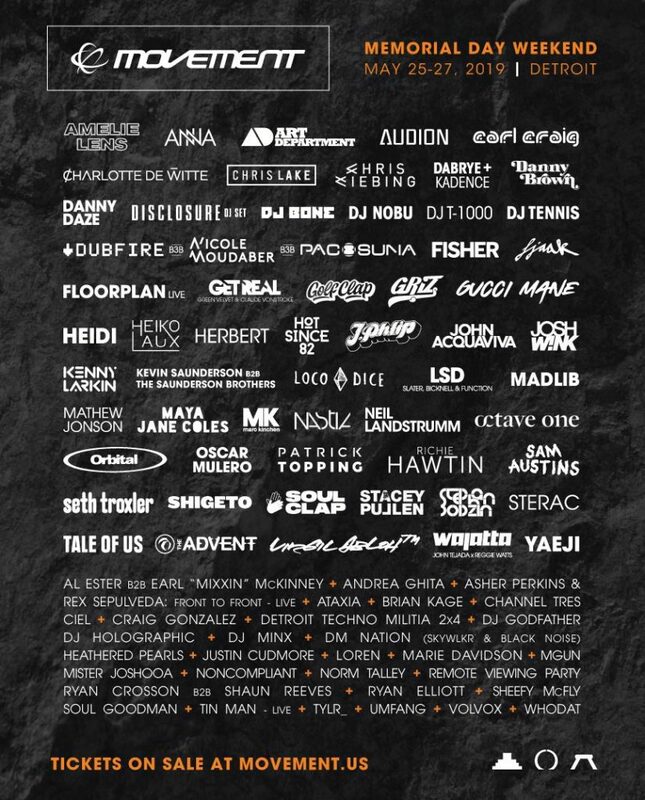 The list of nearly 90 performing artists includes Orbital, Disclosure, GriZ, Dubfire, Nicole Moudaber, Paco Osuna, Chris Lake, Danny Brown, Hot Since 82, Virgil Abloh, Carl Craig, Amelie Lens, Richie Hawtin, Stephan Bodzin, Fisher, Floorplan, DJ Nobu, Heiko Laux, Gucci Mane, and more (see full graphic below). One of the longest running festivals in the world, Movement aims to pay homage to Detroit’s techno roots while showcasing a diverse set of artists and musical styles. Movement Music Festival tickets are on sale now, priced at $175 for three-day general admission passes and $299 for VIP weekend passes. Giveaway: Tickets to Steve Aoki in Allendale, Mich.